The first Earth Day celebration in NYC was in Union Square in 1970, and 2018 is no different! Earth Day Initiative, Car Free NYC, The New School, GrowNYC and more green businesses are activating to get you outside and involved to make a difference. Whether you switch to clean energy, go car-less for the day, compost your lunch, "green" your beauty routine, or learn about the environment, find it all in Union Square. New York City's very first Earth Day celebration took place in Union Square in 1970, when the park served as the epicenter of environmentally conscious teach-ins. Along side celebrities Paul Newman and Ali McGraw, some 100,000 people joined in on the huge demonstration, picnic spread and car free streets. The neighborhood continues this tradition with one of the nation's largest Earth Day celebrations hosted by Earth Day Intiative. Kick off the week with Earth Day Initiative on April 15th with a full day of free events featuring over 70 exhibitors, including environmental non-profits, green businesses, kids' activities, and live performances. At the event, local beauty brand Innisfree is stepping into the park to find out what environmental issues are on your mind with the #IGIVEASHEET campaign. Already a company devoted to sustainable practices (you can recycle your empty product jars in the store), they're launching 100% biodegradable sheet masks. Throughout the week (April 15-April 22), visit the store's mezzanine level to up-cycling moisturizing jars and re-use them plant succulents. Additionally at Earth Day NY, you can even bring your utility bill and make the switch to clean energy and get $25 off your next bill! New this year to the Earth Day Initiative festivities is a special contest from The New School, dedicated to sustainability, social justice, and innovative design. 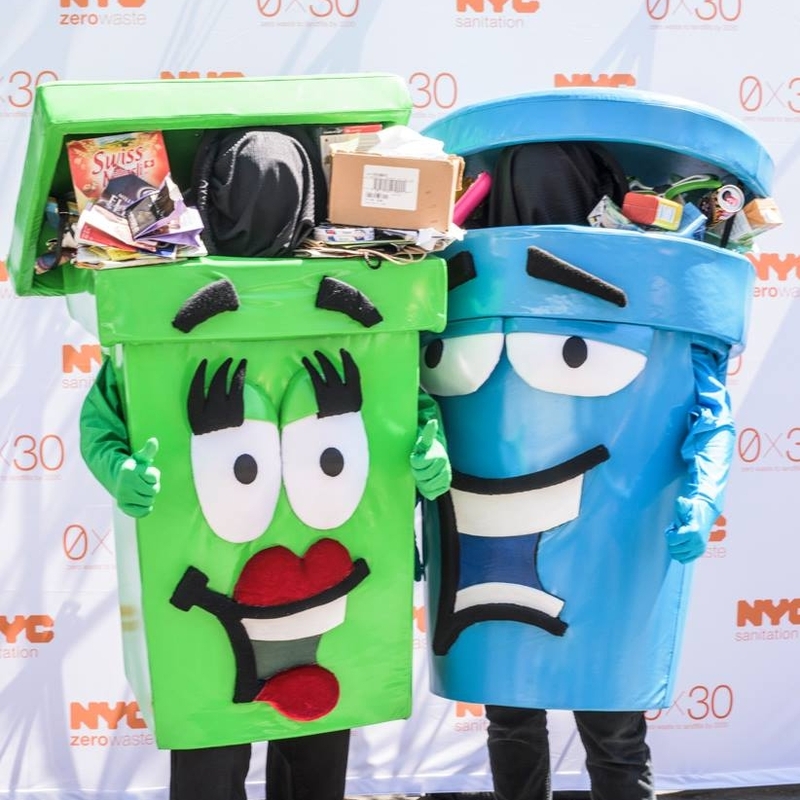 If you have a great idea for making NYC more sustainable, stop by the New School's booth on April 15th - receive a special MetroCard loaded with two free subway rides, and use it to enter the contest. One winner will get university resources and funding to help bring their innovative sustainability idea to life. Next up, do a 5K with a twist on April 20th! Earth Day Initiative is guiding a tour of NYC sites where you can visit businesses that are taking strides to make NYC green. Sites this year include the living green wall at Union Square's beauty store Innisfree, now LEED Silver-Certified as a green-friendly location. Ever wanted to hang out in the middle of a busy NYC Avenue? Don't miss the chance to stretch your legs along the 30 blocks of car-free streets on April 21st at Car Free NYC. Walk Broadway from Times Square to Union Square from 9:00 AM to 3:00 PM with five allocated celebration stops: Times Square (42nd Street and Broadway), Herald Square (34th Street and Broadway), Garment District (39th Street and Broadway), Flatiron (23rd Street and Broadway), and Union Square (17th Street and Broadway). Each stop features fitness events, conservation activism, live performances, art, and activities for all ages. At the Broadway Pedestrian Plaza between 17th Street and 18th Street stop by for free fitness with New York Health & Racquet Club. They're offering five fresh classes from 10 AM to 5 PM. See here for the full schedule. 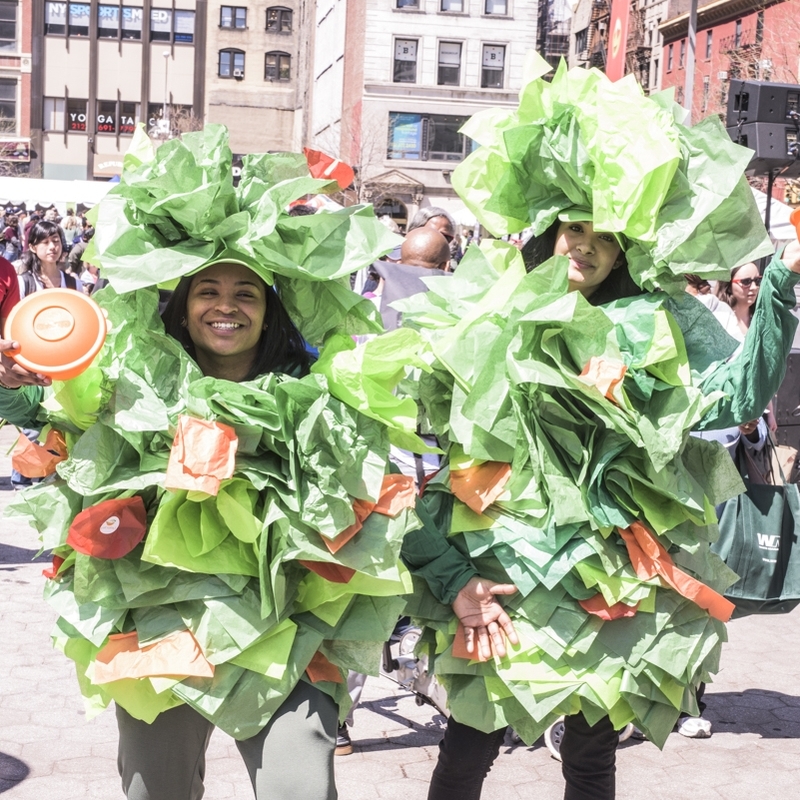 In addition to composing your food scraps at the Union Square Greenmarket (also available on Monday, Wednesday and Friday weekly), join parent organization GrowNYC at Car Free NYC for a recycling demo at Broadway and 18th Street. Bring your own reusable totes, produce bags, and containers (great for fish and delicate produce) while shopping at Greenmarkets. Say ‘no thank you’ if you are offered a plastic bag, or ask for a paper bag. Carry a few extra reusable bags with you at all times. If you forget to BYOB, you can purchase reusable tote bags and produce bags at most Greenmarket Market Information tents. Winner, winner, plastic-free dinner! Participate in GrowNYC's Plastic Cleanse Instagram Contest to win giftcards to a restaurant that supports the Greenmarket, and get your photos featured on the @unsqgreenmarket account. Take a photo of your plastic-free shopping supplies before heading to market, a plastic-free interaction at market, or of your plastic-free market haul after shopping, and tag @unsqgreenmarket #GMKTnyc #PlasticCleanse to enter. The Union Square Partnership is a non-profit 501(c)3 organization that works to ensure the Union Square district's continued growth + success by providing a wide-range of services + programs including sanitation, public safety, economic development, marketing + events, and by investing in the beautification of Union Square Park.